The act of opening a pre-formed pouch either by automation or manually - inserting the materials and then sealing to close. Sealing of pouches is accomplished by the use of thermal, hot air or band sealers. 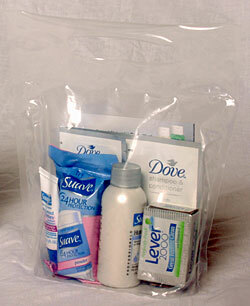 Exceed Packaging, Inc. can also fill pre-made pouches with our automated equipment. Contact a Sales Representative for further details.